If you own a small business, you’ve probably heard a million reasons why you should be present on social media. Yet all you can think is: I don’t have time to be posting everyday. Plus, what kind of value can social media really bring for my business? Reason #1: It will cost you money. Not investing in social media will cost you money? How is that possible? Here’s the thing: you have to spend money to make money. If you don’t invest time in getting up to speed on social media (or hiring someone to help you), how can you expect to drive sales or gain new clients? You can’t just slap together a website and sit back waiting for people to find it. Remember the old adage, “If you build it they will come?” That doesn’t apply here. Social media is one of the most effective tools to make your business known to people who otherwise wouldn’t have a clue about who you are or what you provide. And if you’re posting consistently, your social channels can drive people to your website, which is your overall marketing goal (or at least should be). Reason #2: No one will know who you are. Chances are your target audience is on social media. They’re talking. And guess what? You’re not there. If you’re not present to engage in conversations, how will people learn more about your business? Marketing is a two-way street. It’s a conversation. It’s a relationship. In order to have a successful business, you need to offer value. That means joining conversations online and providing advice without (and this is key) asking for anything in return. It’s all about trust and loyalty – and if people trust you, they will buy from you. Reason #3: Your competitors will have an advantage. Pick your top 3-5 competitors and search for them on social media. Chances are the majority (if not all) have some sort of social media presence. That means they’re reaching your audience too. If you’re not active on social media, then you’re basically handing your competitors money. Reason #4: You’ll be unprepared in a crisis. Remember the McDonald’s Twitter campaign that went terribly wrong? A week after the epic hashtag fail, the company issued a media statement. A week. One week in the social media world may as well be one year. Plenty of damage was done to the brand over that one-week period. There are many reasons why companies don’t move fast enough in a crisis. One of the top reasons is being unprepared. By building a following on social media, you can stay on top of your business and address problems before they come bigger issues. Chances are if your customers are unhappy, they’ll voice their frustrations on social media first, giving you a chance to make things right. Reason #5: Think DOA, not SEO. What is SEO and why does it matter? SEO refers to the rankings and visibility your company gets in search engines like Google or Yahoo. Simply put, SEO is the difference between appearing on the first page of Google rankings or the 53rd. Businesses that invest in marketing tactics such as creating videos or writing blog posts often appear at the top of online searches. When you share those videos or blog posts on social media, you’re expanding the audience that will see those pieces of content. If you’re not marketing your business on social media, then your SEO is dead on arrival (DOA). Reason #6: Kiss website traffic good-bye. Have you checked out your web analytics lately? If you’re not seeing much traffic to your website, it’s probably because you don’t have a marketing and PR strategy. Blogging regularly, getting featured in local media outlets and posting on social media all have a common goal: getting more eyeballs to your website. Think of your website as your marketing hub. It’s where people get more information about your company and the services you provide. You can spend a fortune on website development, but if you don’t have the marketing to back it up, it’s money down the drain. Reason #7: You’ll hit a slump during the “slow” periods. Every business hits a slow period. This is especially nerve wracking for small business owners, but it doesn’t have to be. By promoting your business on social media year-round, you’ll have the opportunity to build relationships with new members of your target audience. And when they’re ready to buy, you’ll already be top of mind – making it all the more likely that they’ll choose to hire you. Reason #8: You won’t gain valuable insights about your target audience. The beauty of social media is that it gives you the inside scoop into what your customers want. Knowing is half the battle – and if you know what challenges your customers are facing and what they’re looking for, you can create compelling content that meets their needs. If you’re able to anticipate what your audience wants before they even know it, then you’re primed for new business. The bottom line? It’s harder to find a reason not to be on social media than it is to be present on those channels. Not sure where to start? 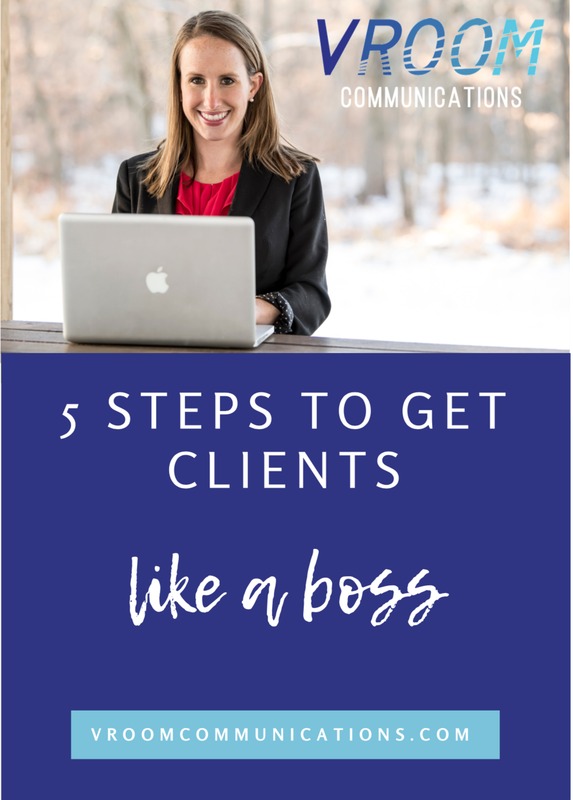 Make a list of your ideal client. Who are they? How old are they? What are their interests? Then start researching which social media channels (Facebook, Twitter, LinkedIn, Pinterest) they’re using. Those are the channels where you need to be. I recently wrote a blog post listing the pros and cons of each major social media channel, so go check that out if you need some inspiration. If you’d like to chat about which social media channels you should be using, contact me and we’ll set up a free consultation.